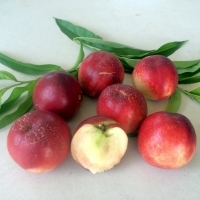 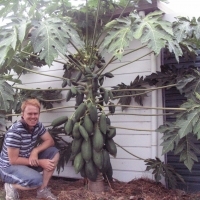 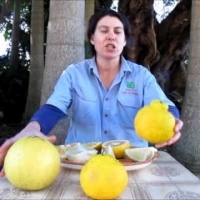 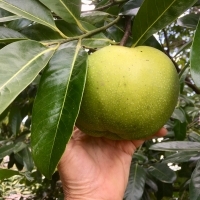 Seedling selection from Kyogle, very large fruit and self pollinating. 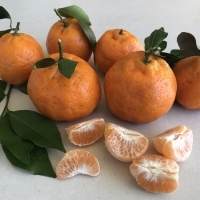 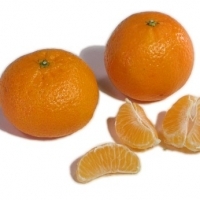 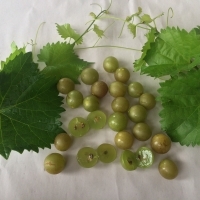 Seedless when not pollinated. 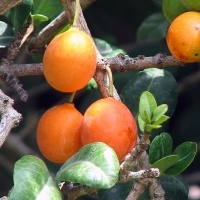 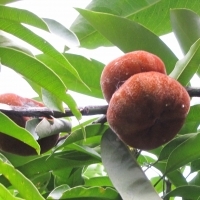 Closely related to the Persimmon this attractive glossy foliaged tree produces a fruit often called the 'Chocolate Pudding Fruit'. 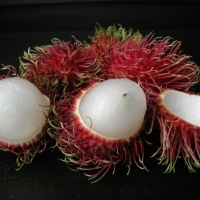 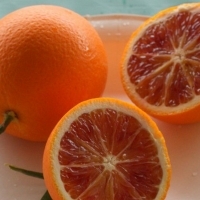 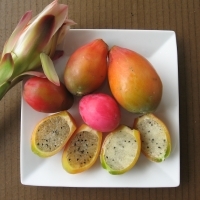 Delicious when eaten as a desert with cream and a touch of Rum or vanilla. 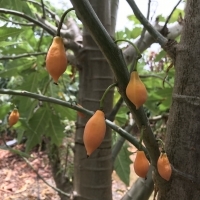 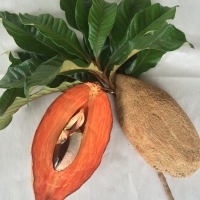 Commonly known as soup tree as the young leaves are used in a very popular soup in Nigeria. 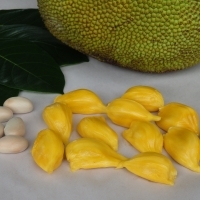 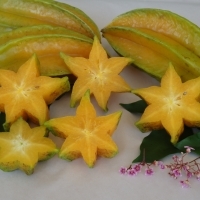 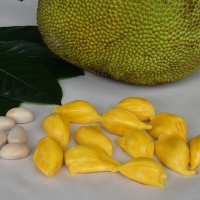 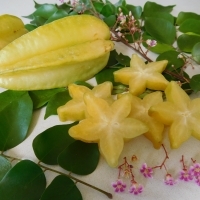 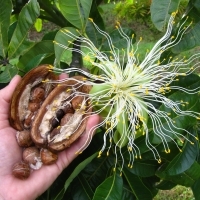 The female flowers are insignificant but are followed by large irregularly shaped yellow fruits, which are 10-15cm across and contain up to 15 large seeds, each enclosed in a polygonal segment. 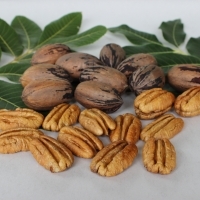 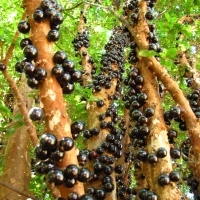 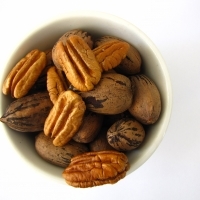 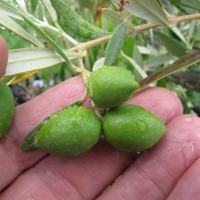 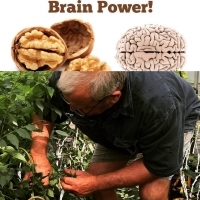 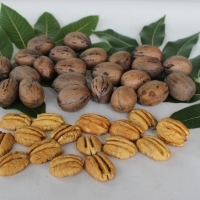 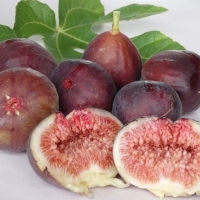 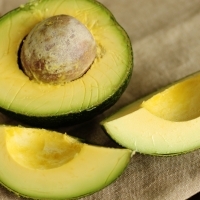 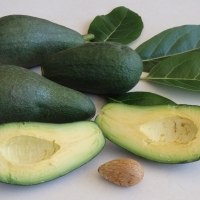 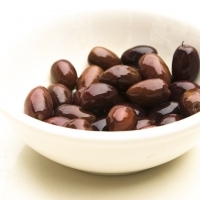 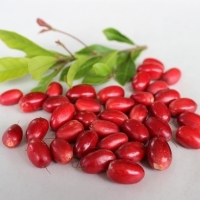 The flesh is edible raw and the seeds, which are about 1 cm long, are very nutritious, containing oil, proteins and sugars. 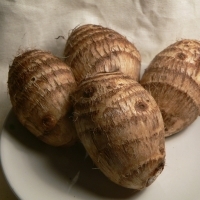 They can be shelled and cooked in various ways. 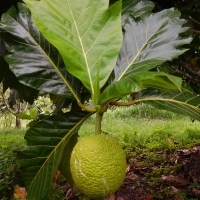 There is no mistaking this tree with its enormous leaves that reach 70cm in diameter, with 7-9 leaflets up to 50cm long and 25cm across. 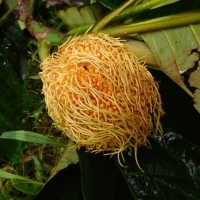 Also known as monkey jack or lakuchi in India; tampang and other similar native names in Malaya; as lokhat in Thailand. 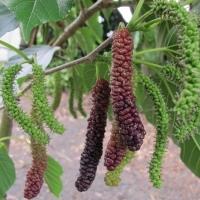 The deciduous tree is 6-9 m tall, the large, leathery leaves, downy on the underside. 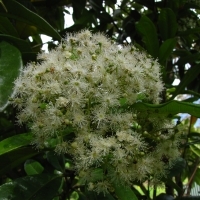 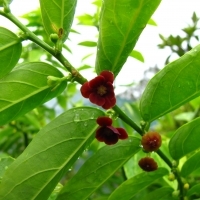 Male and female flowers are borne on the same tree, the former orange-yellow, the latter reddish. 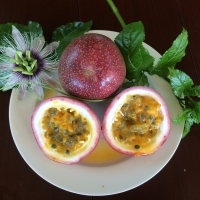 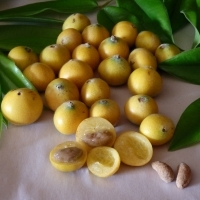 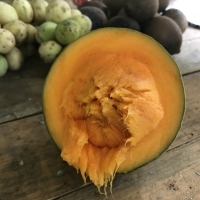 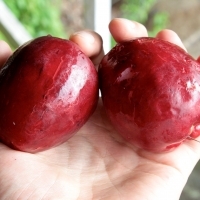 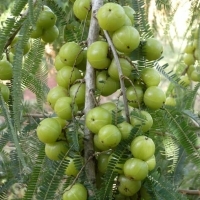 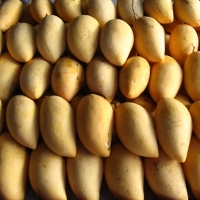 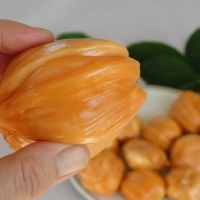 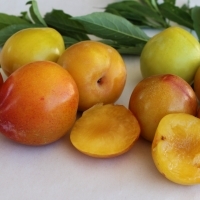 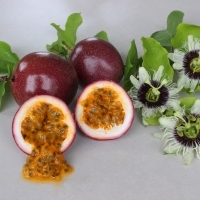 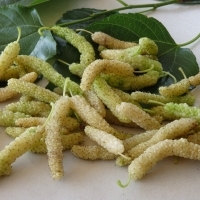 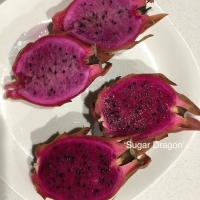 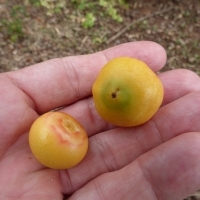 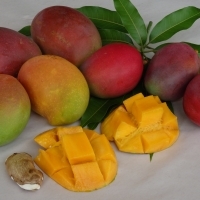 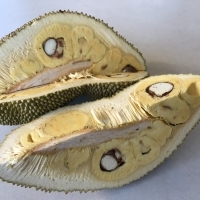 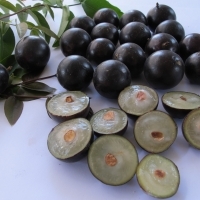 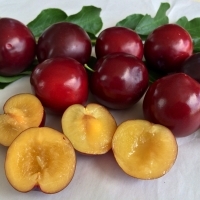 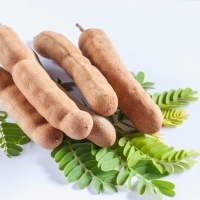 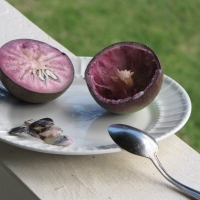 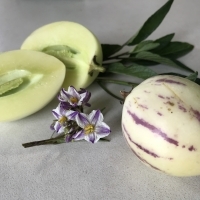 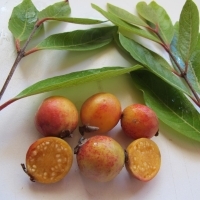 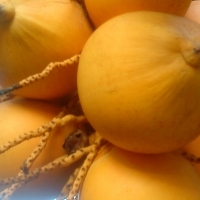 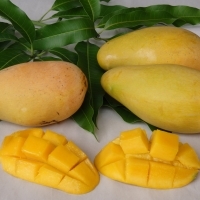 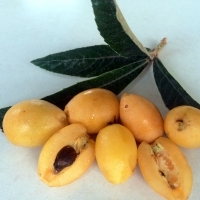 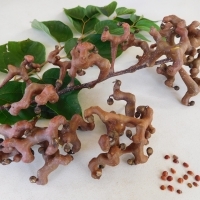 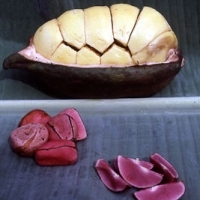 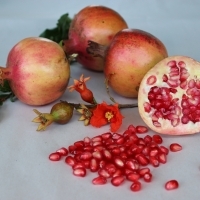 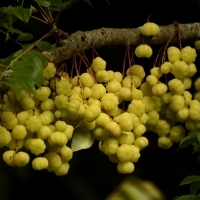 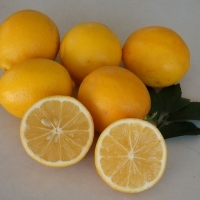 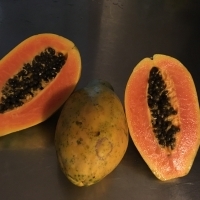 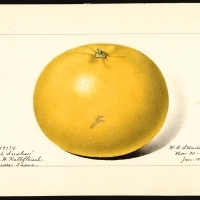 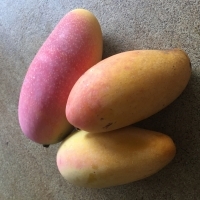 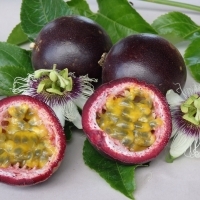 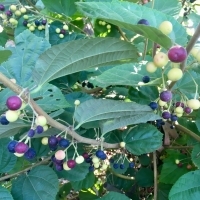 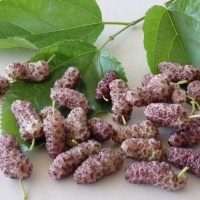 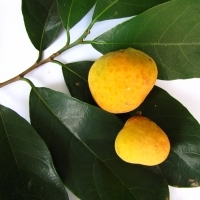 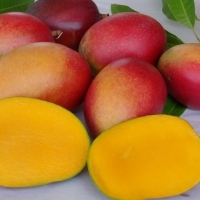 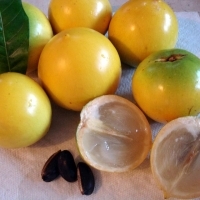 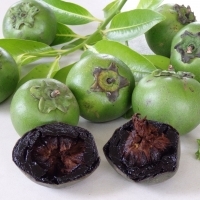 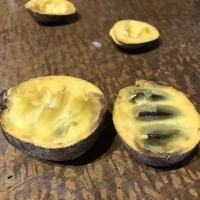 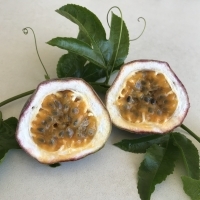 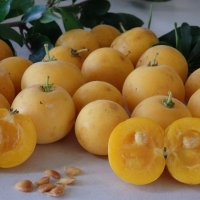 The fruits are nearly round or irregular, 2 to 5 in (5-12.5 cm) wide, velvety, dull-yellow tinged with pink, with sweet sour pulp which is occasionally eaten raw but mostly made into curries or chutney. 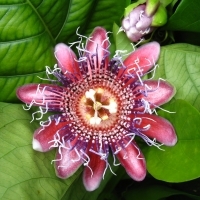 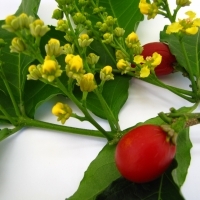 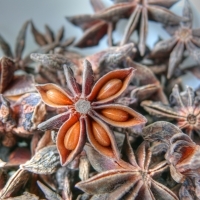 The male flower spike, acid and astringent, is pickled. 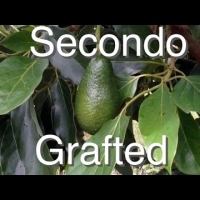 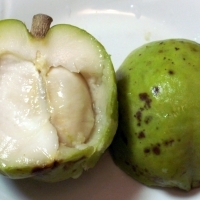 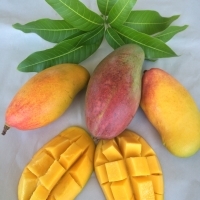 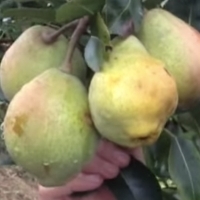 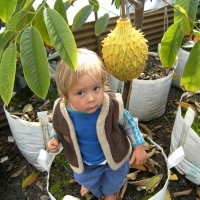 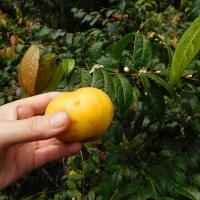 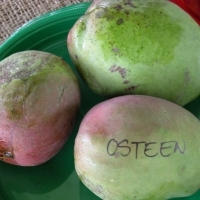 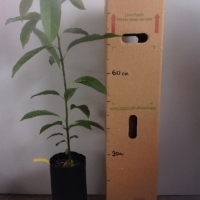 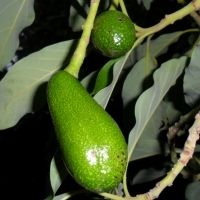 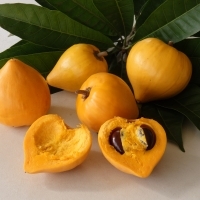 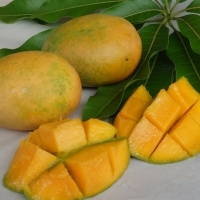 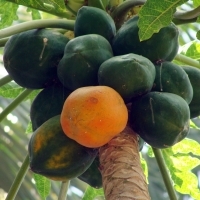 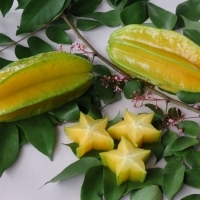 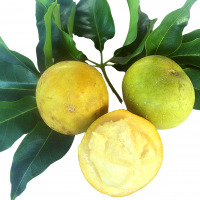 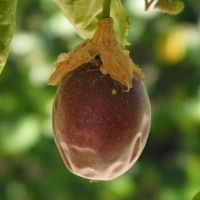 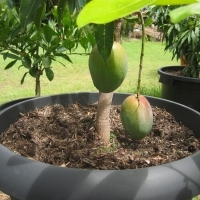 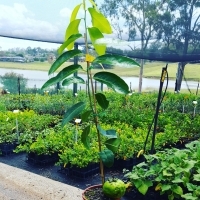 A seedling selection that is similar to a canistel but the fruit tends to be moister and less mealy than a canistel. 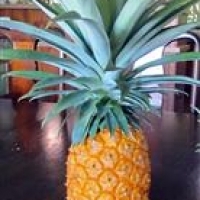 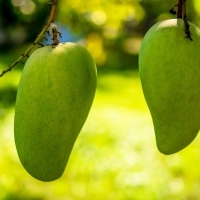 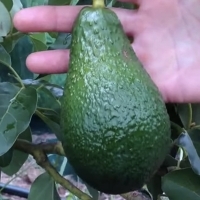 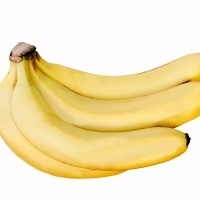 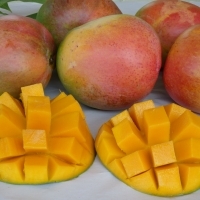 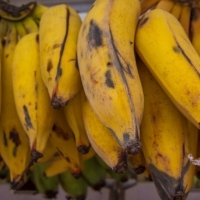 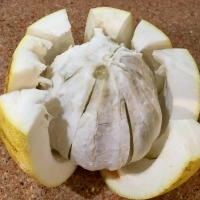 They also tend to split open at the top like a flower opening when they fruits are fully ripe. 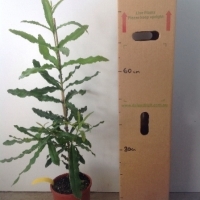 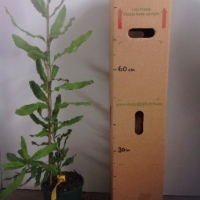 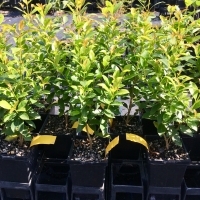 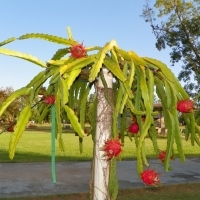 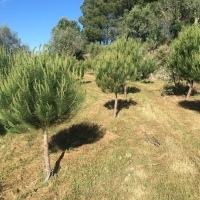 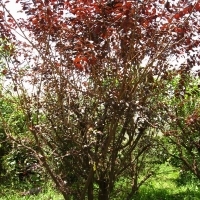 The tree is slow growing and easy to control, once established they are drought tolerant. 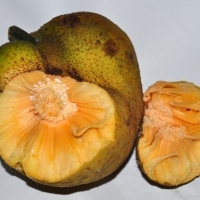 Called Eggfruit due in part to the texture of the pulp being similar to the yolk of a hard-boiled egg but the flesh is sweet like caramel. 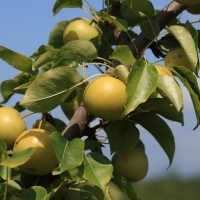 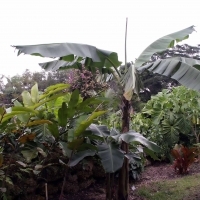 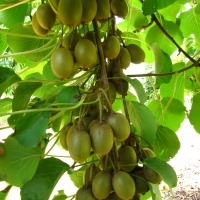 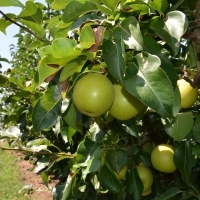 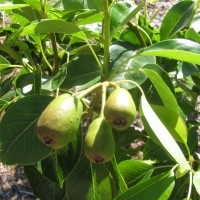 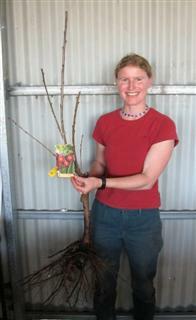 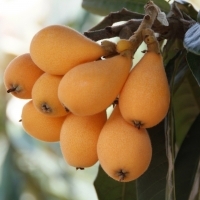 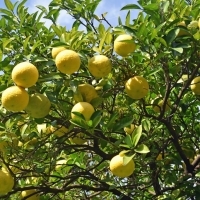 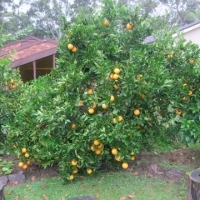 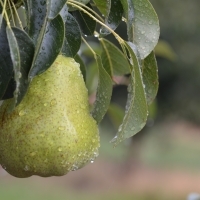 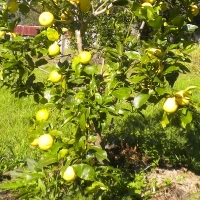 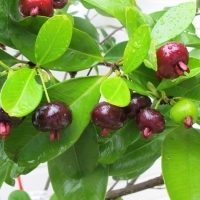 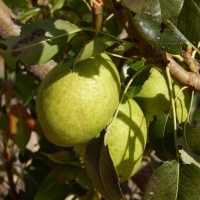 A hardy fast growing fruit tree producing an abundant crop of fruit that taste like a creamy pear and banana combined. 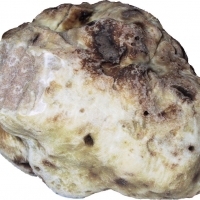 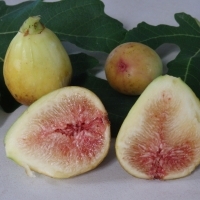 The flesh is nearly fibreless and has a mild yet sweet flavour. 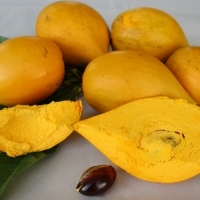 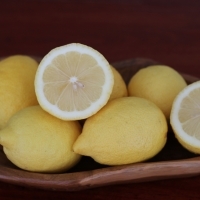 The smooth skin has a yellow background color but usually turns dark purple. 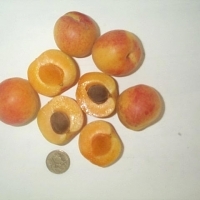 Oblong shape with a rounded base and apex that sometimes contains a small beak. 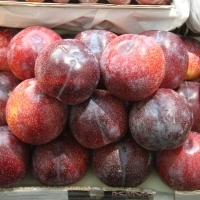 they average 450 grams at maturity. 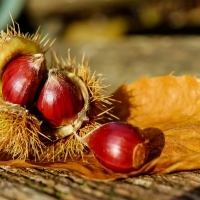 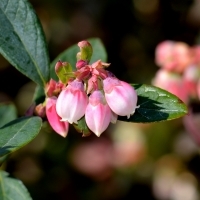 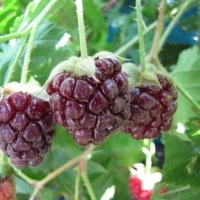 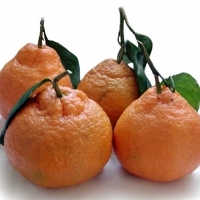 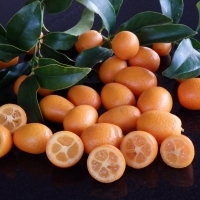 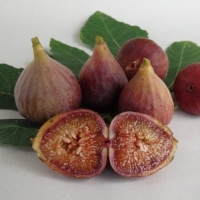 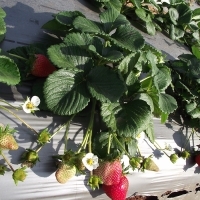 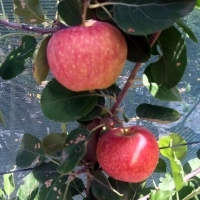 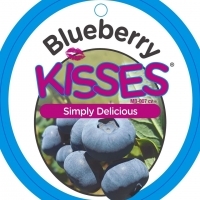 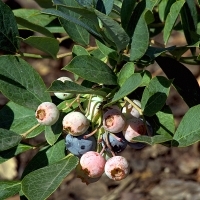 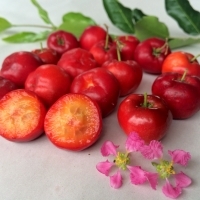 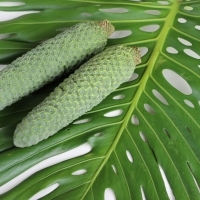 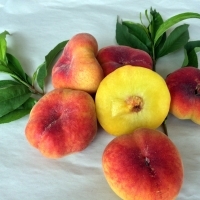 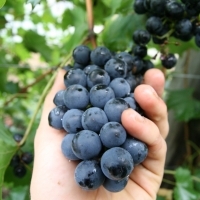 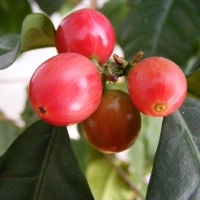 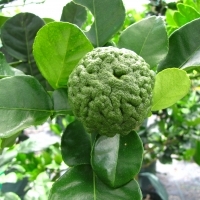 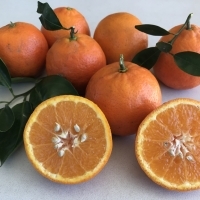 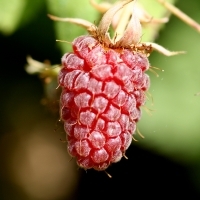 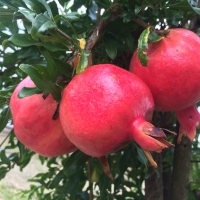 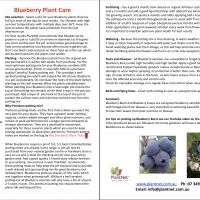 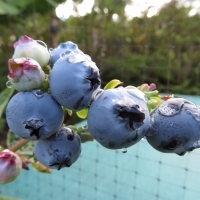 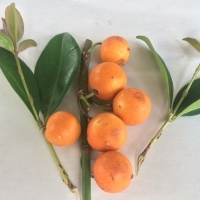 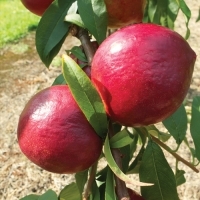 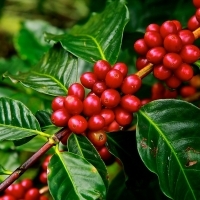 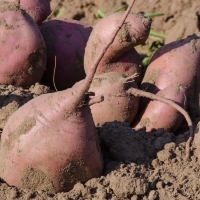 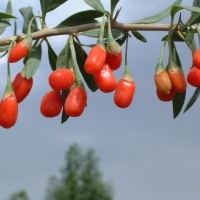 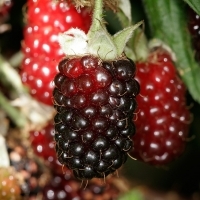 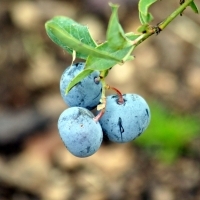 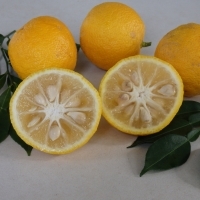 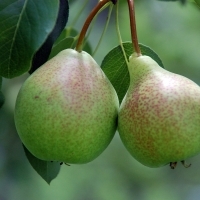 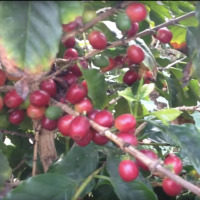 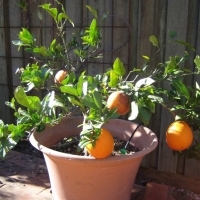 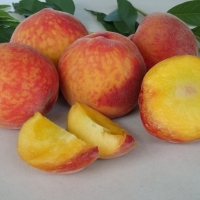 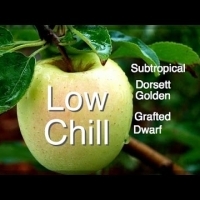 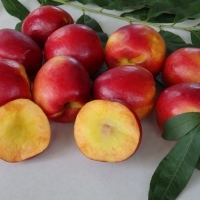 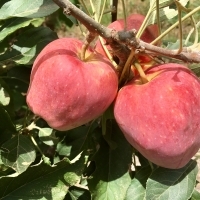 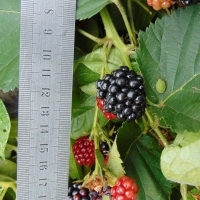 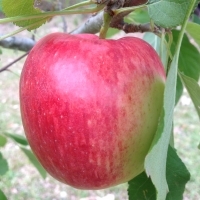 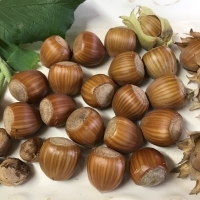 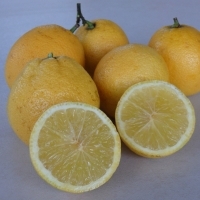 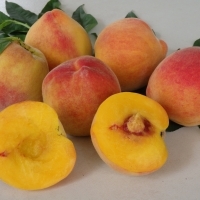 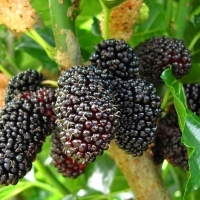 An early fruiting variety that is low chill and well suited to warmer regions. 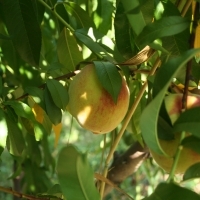 Harvest when the skin is still green and the fruit will ripen to yellow. 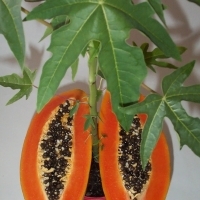 Very sweet and self fertile. 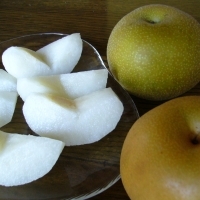 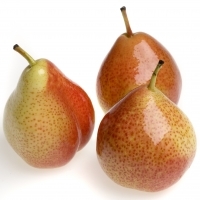 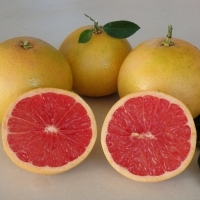 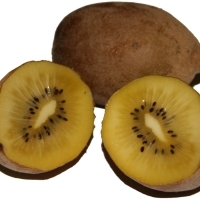 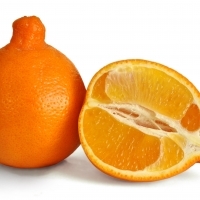 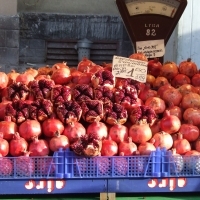 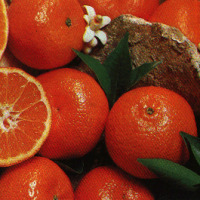 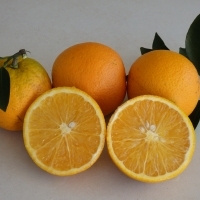 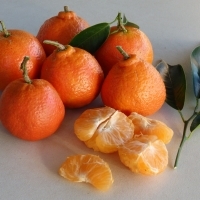 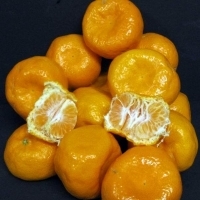 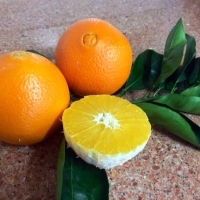 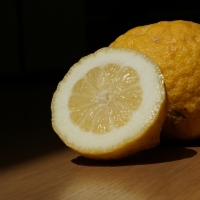 Rounded fruits similar to a nashi in shape. 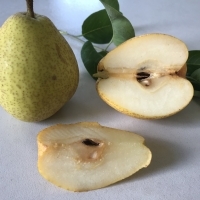 Pollinates with the Sunshine pear. 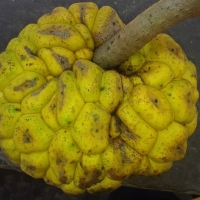 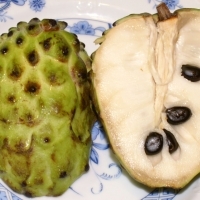 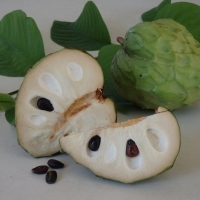 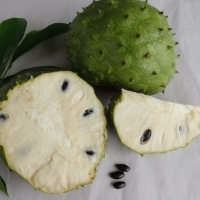 This seed grown Sugar apple is unique in producing giant sized fruit with large fruit carpels on the skin resembling eyes, hence the name Big Eyes. 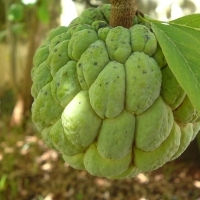 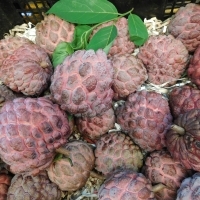 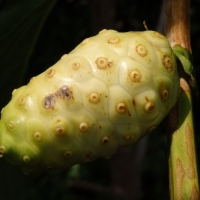 A tropical Custard Apple it has delicious sweet creamy flesh when ripe. 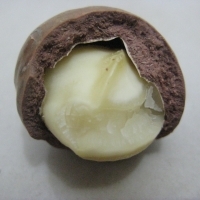 Trial Product, Daley's is currently trialing this product, but we will not have them available for sale in the foreseeable future. 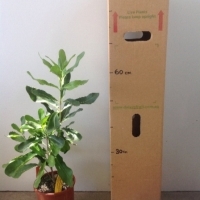 If you are interested in this item please request the email notification from this page, but at this stage we cannot give you an estimated time of availability. 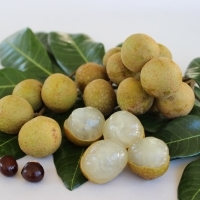 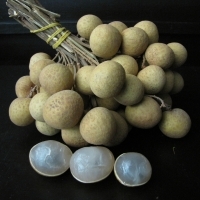 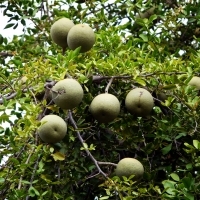 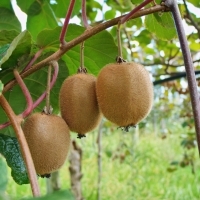 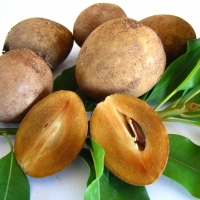 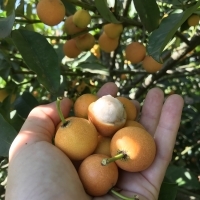 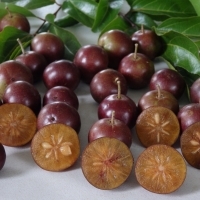 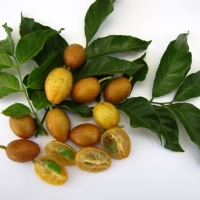 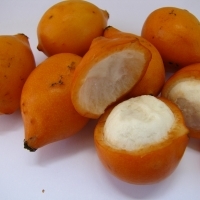 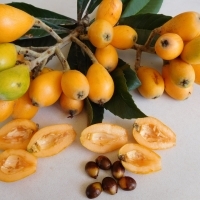 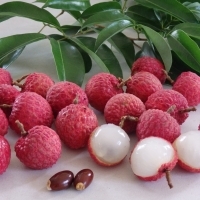 A rare and highly sought after compact growing selection of longan sourced from Malaysia. 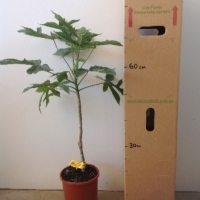 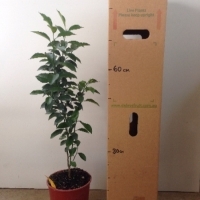 Well suited to smaller gardens. 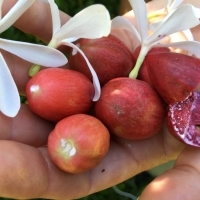 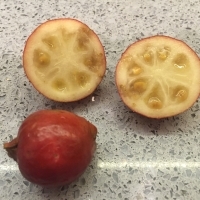 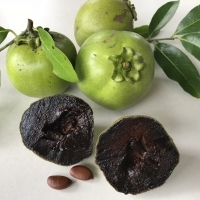 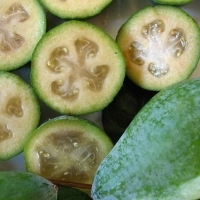 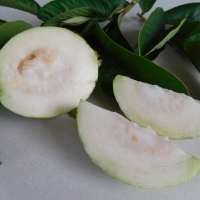 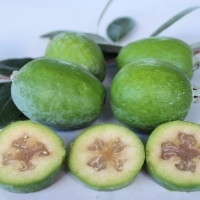 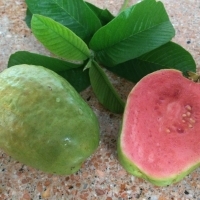 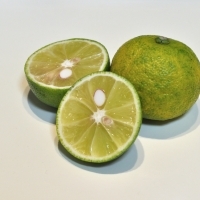 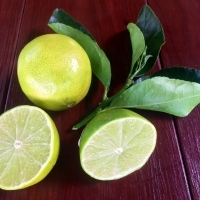 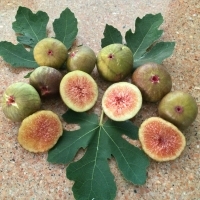 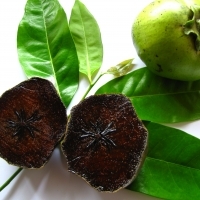 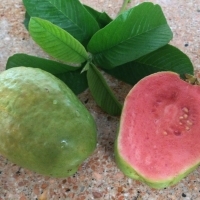 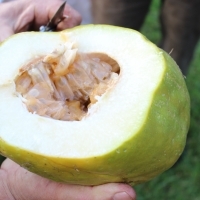 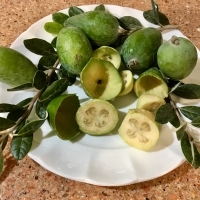 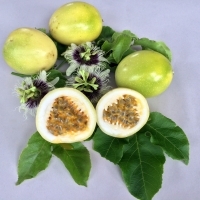 A firm guava with crisp, clean white flesh that if not cross pollinated will produce fruit with less seeds that can be eaten fresh out of hand like an apple. 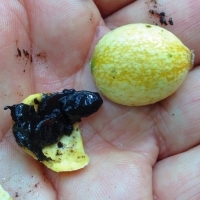 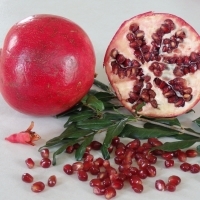 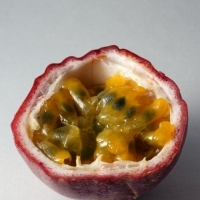 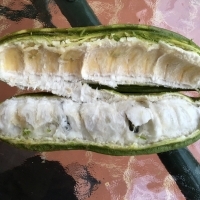 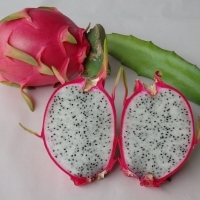 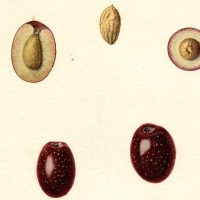 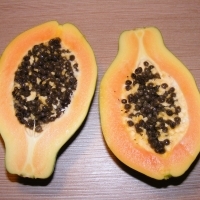 Cross pollinated fruit will produce extremely small central cavities dotted sparsely with seeds. 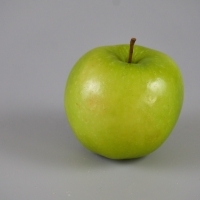 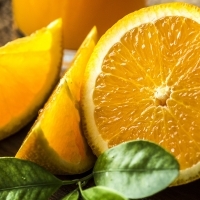 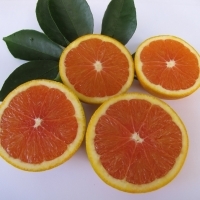 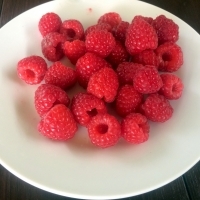 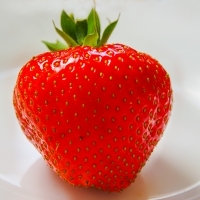 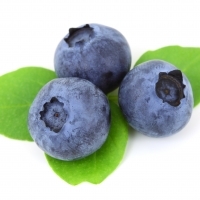 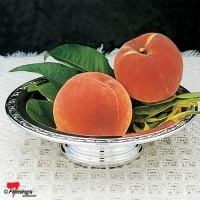 Fruits are large and heart shaped, green skinned and highly aromatic. 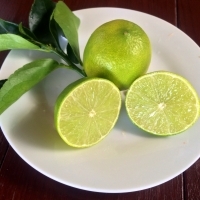 Superior flavour to that of Thai varieties. 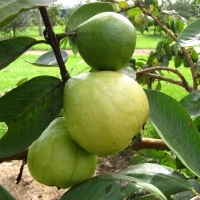 A must have for those who tend to avoid guavas owing to high seed content.